RUGBY LEAGUE: Manly officials seem likely to be left to decide any punishment for Brett Stewart after the representative fullback was charged by police with low-range drink-driving yesterday. An NRL spokesman told APN late yesterday Manly had alerted its Integrity Unit to the incident, but said the league would not run its own investigation. The 29-year-old star was arrested on Pittwater Road on Sydney's north shore and taken to Mona Vale police station yesterday morning after failing a random roadside breath test. He is due to appear in Manly court on May 7. 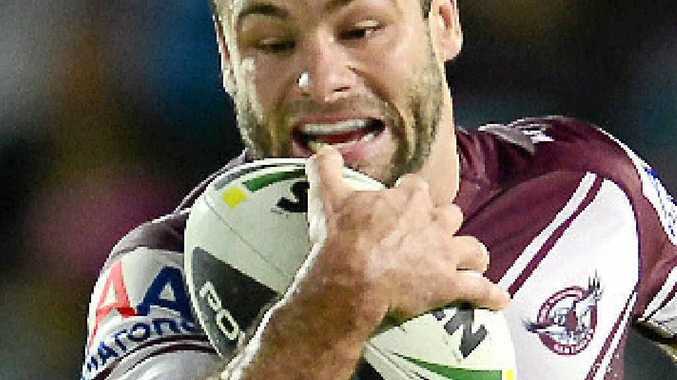 The Sea Eagles club, tipped to cut Stewart's brother Glenn at the end of the season, released a statement yesterday in which Brett Stewart (pictured) said he had "no idea" he was over the limit after having a "few drinks" with friends on Sunday. "There's no way I would have got behind the wheel if I thought there was a problem," he said. Stewart is the third high-profile rugby league star to be charged with drink-driving in recent years. North Queensland forward James Tamou was fined $20,000 and stood down for a State of Origin game by the NRL when he was found guilty of a high-range DUI and driving without a licence in July last year. And just last month former NSW and Australian forward Willie Mason was found guilty of drink-driving. Mason was fined $900 and suspended from driving for six months but escaped being censured by the NRL.